The biggest news during March of this year was the FDA approval of Ocrevus, the first disease-modifying drug found effective in treating both relapsing-remitting MS (RRMS) and primary-progressive MS (PPMS). The news drew many responses from our readers, many of whom expressed concern about the cost and their ability to get access to this new and extremely expensive Tier 5 drug. Ocrevus is manufactured by Genentech, a pharma company owned by the Roche group. You can find its patient assistance program info at the Genentech site: www.genentech-access.com. Click on Patient Assistance Tool and then answer the yes or no questions about your insurance status. You can also call (866) 422-2377. If you receive government insurance such as Medicare or Medicaid, you’ll be referred to an independent co-pay assistance foundation. Every drug company has a patient assistance program, and most have referral lists to charity foundations such as NORD and Patient Access Network. If you don’t want to research this yourself, you can ask your medical team to find the information for you. Avonex is manufactured by Biogen. To access its patient assistance program, call 1-800-456-2255. Aubagio is made by Sanofi-Genzyme. For co-pay assistance, the website advises you to talk to your healthcare provider for instructions. It emphasizes co-pay assistance for commercial insurance holders only. The only phone number published on the website is for the One-to-One program, a 24/7 on-call nurses program for those with drug questions at 1‑855‑676‑6326. *Although the website doesn’t mention charity foundation support for Medicare/Medicaid patients, making an inquiry about such options is recommended. If they don’t provide the option, see a list at the bottom of this article for charitable foundations. Copaxone is made by Teva. Call Shared Solutions, their support program at 1-800-887-8100. Betaseron is manufactured by Bayer. Contact their patient assistance program at 1-800-788-1467, press option 2, and talk with a Coverage Specialist to learn more. Extavia similar to Betaseron, is manufactured by Novartis. Call its patient assistance program at: 1-866- 398-2842. Gilenya is made by Novartis. The website claims that most eligible patients pay a $0 co-pay. www.gilenya.com/c/ms-pill/co-pay. The application process starts when you sign up to take the drug. The Novartis care team will contact you with an evaluation. Glatopa Glatopa similar to Copaxone, is made by Sandoz, Inc. Contact patient assistance at 1-855-452-8672. Plegridy is made by Biogen. Call 1-800-456-2255. Rebif is made by EMD Serono. For MS Lifelines assistance program call: 1-877-447-3243. Tecfidera and Tyesabri are manufactured by Biogen. Call 1-800-456-2255. Zinbryta is made by Biogen and Abbvie. For co-pay assistance, call 1-800-456-2255. You can find similar assistance for expensive symptom medications, too. For example, Tier 4 medications such as Ampyra, manufactured by Biogen, can be prohibitively expensive as well. If you’re having trouble paying for Ampyra, call the above number for Tecfidera and Avonex to apply for co-pay assistance. 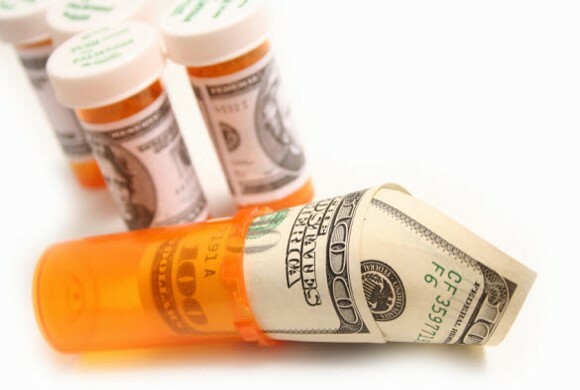 If your drug plan’s formulary is no longer covering an expensive symptom medication and the alternative is not going to be an effective equivalent, don’t hesitate to call any of the drug companies for solutions. In many cases, you don’t have to go without an effective drug just because your insurance refuses to pay for it. Following is a list of charity foundations that help chronically ill patients cover their drug costs.